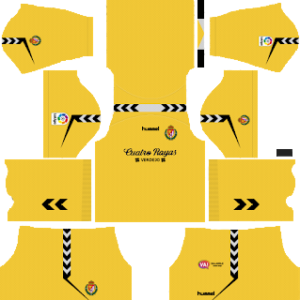 In this article, you can find and download Dream League Soccer (DLS) Real Valladolid Kits and Logos 2018, 2019 Edition with URLs. Real Valladolid is a professional Spanish football club. The club plays in La Liga which is the top division of Spanish football. Real Valladolid celebrates its foundation on 20 June 1928. The team is commonly known by the name of Pucelanos. José Zorrilla is their home ground in Valladolid. It can accommodate 26,512 at a time. The Brazilian legend Ronaldo Luís Nazário de Lima is the owner of this club. Sergio González is currently managing the Valladolid side. The club is showing a lot of improvements in their game. Now you can download the Dream League Soccer Valladolid kits for both home and away from the URL’s provided below. In Dream League Soccer you can change the kits and logos of your team. In order to do that you will need the URL of the kits to download. So in this post, we are providing the Dream League Soccer Real Valladolid kits and logo to download and play. The kits and logo are presented in the size of 512×512. 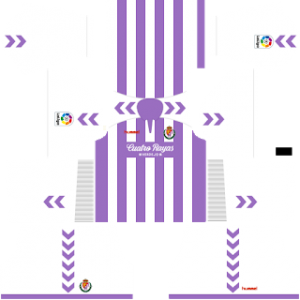 You can use this kits in DLS by clicking the URL to download the Real Valladolid team home kit 2018-2019. You can use this kits in DLS by clicking the URL to download the Real Valladolid team away kit 2018-2019. You can use this kits in DLS by clicking the URL to download the Real Valladolid team Goalkeeper’s home kit 2018-2019. 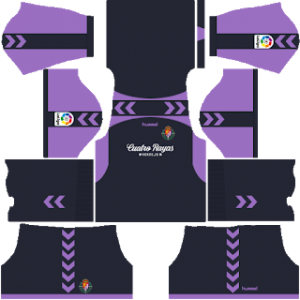 You can use this kits in DLS by clicking the URL to download the Real Valladolid team Goalkeeper’s away kit 2018-2019. 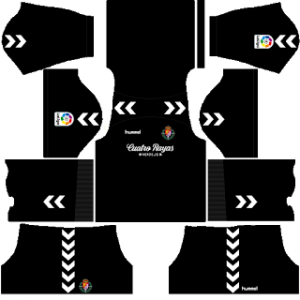 You can use this Logo in DLS by clicking the URL to download Real Valladolid Logo 2018 – 2019.